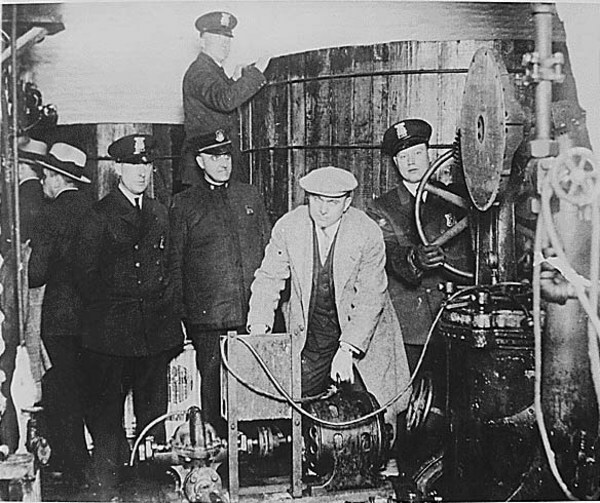 It Was Perfectly Legal to Drink During Prohibition Prohibition was a heyday for gangsters such as Al Capone, who made enormous amounts of money bootlegging. Image source: WikiCommons It was prohibited to make alcohol, sell it, or ship it during prohibition under the Volstead Act if it was intended for consumption. The Volstead Act did allow alcohol for scientific research and use in manufacturing. The one thing the 18th Amendment did not do is prohibit people from drinking products that contained alcohol, so many people resorted to buying their liquor from illegal sources. 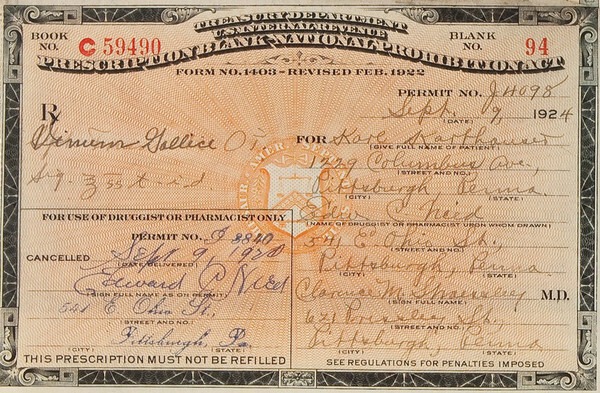 Not All States Participated During Prohibition One way that people got their hands on booze during prohibition was to go to their doctor for a prescription. Image source: WikiCommons Not every state was happy with the idea of depriving its citizens of alcoholic beverages, not only because their citizens wanted it but because it lowered revenues. The state of Maryland never passed any legislation to enforce prohibition, and other states became laxer as time went on in enforcing the amendment. The state of New York went so far as to repeal its enforcement measures in 1923, a move that was probably toasted by many state residents with their favorite beverage. Speakeasies Often Had a Green Door It wasn’t legal to open a bar that served alcoholic drinks during prohibition, but people always find a way to get around things, so they went to illegal, hidden bars called speakeasies. Chances were that if you saw a business with a green door, there was a speakeasy hidden inside. The Green Door Tavern in Chicago used this not so subtle advertising during prohibition and is still open for business, although now they can openly sell liquor to their customers. Cruises to Nowhere Became Popular One thing that may have led to vacation cruises in the travel industry was the “booze cruises” during the prohibition era. Since alcoholic beverages could not be manufactured, sold, or shipped, boats would take passengers out beyond the territorial limit, sometimes sailing around in circles so their patrons could party and enjoy their drinks in safety. Other ships would take passengers to Havana, Cuba, or to the Bahamas, where clubs and bars were legal. The Great Depression Contributed to the Repeal of Prohibition Americans would not be denied and spent plenty of money on the booze that was supplied by the black market, with New York City alone having 30,000 or more speakeasies. Once the Great Depression hit, those tax revenues were needed, so President Franklin D. Roosevelt, during his presidential campaign in 1932, included the repeal of Prohibition as part of his platform. When it was repealed about a year later, Roosevelt reportedly downed a dirty martini to celebrate while New Orleans partied in style with a 20-minute cannon salute.